There are several coffee shops in Malaysia. Most fall under one of the big chains, you see those coffee shops all over the country. Every shopping mall has at least one or several coffee shops; this also applies to airports within Malaysia. 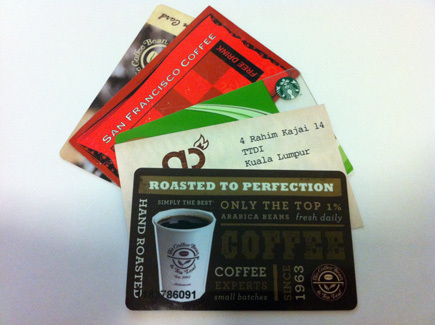 The most popular coffee in Malaysia are: Starbucks, Coffee Bean & Tea Leaf, Dôme, San Francisco and Espressamente illy. Although the coffee from big chains such as Starbucks, Coffee Bean and Dôme are fine, you’ll drink better coffee at a different coffee shop; San Francisco Coffee. Sadly, you do not often see this coffee shop inside shopping malls, but more at the bottom of the business premises. We really appreciate a good coffee ourselves and therefore we drank coffee several times at the above mentioned coffee shops for the past few years. 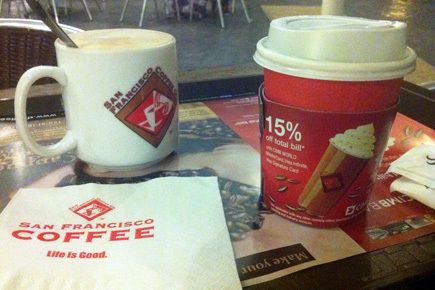 In our opinion, Espressamente illy has the best coffee, closely followed by San Francisco Coffee. The other shops have pretty good coffee; not super good, but certainly not bad. 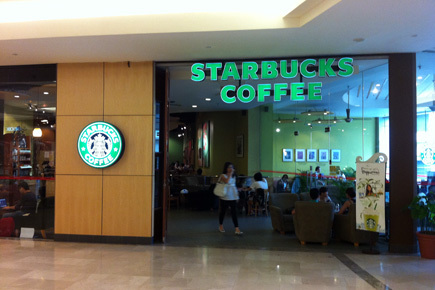 In our opinion, Starbucks has pretty good coffee, and there is always a pleasant atmosphere in a Starbucks coffee shop. Starbucks’ disadvantage is that they have no breakfast or lunch menu card. Coffee Bean also has pretty good coffee, and they also have an extensive menu of non-coffee drinks, aside from a pleasant atmosphere. Their breakfast and lunch menu card is also very extensive. Dôme has mediocre coffee, but a good lunch card with delicious western dishes and on top of that, they have amazingly tasting shakes. The nice thing about the many coffee shops in Malaysia is that they always have a pleasant atmosphere. They are excellent places to go and relax after a long day full of activities. For example, if you’ve walked through the center of Kuala Lumpur for a long time, nothing is better than relaxing at a Starbucks or Coffee Bean. Even if you simply don’t enjoy ‘watching people’, it’s nice to sit at one of these places. Apart from the coffee and ice blended shakes, all coffee shops offer a wide range of tasty snacks, such as cakes, brownies and muffins. The coffee shops are therefore also the perfect place to eat sweets (eg. after dinner, for a coffee and a ‘dessert’). 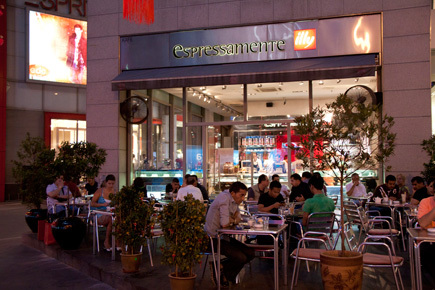 Espressamente illy is a coffee shop established by the internationally known coffee brand illy. Currently, there are more than 200 establishments worldwide, including some in Malaysia. Espressamente illy is not very well represented in Malaysia yet; with only one establishment in Pavilion KL and in Bangsar Village I. You will find the establishment in Pavilion KL just outside of the mall, directly to the left of the main entrance. It is a popular terrace; a nice place to watch people. Sometimes they hire an Italian band that plays great jazz music. The coffee is fantastic, the service is excellent and the snacks are of high quality. Besides the sweet snacks, they also have snacks such as cheese, olives, etc. Espressamente illy is our number 1 coffee chain. 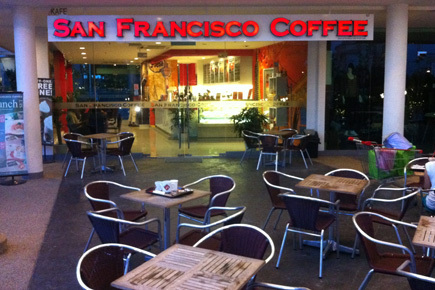 San Francisco Coffee is one of our personal favorites, and ranks second place for the best coffee chains in Malaysia. Although there are fewer establishments of this chain in Malaysia, they have fantastic coffee. In addition to the standard coffee, they offer a wide range of shakes. The lunch menu card is simple, but it contains a few dishes that are well worth it. San Francisco Coffee establishments can be found especially within business premises; and during lunch (and in the morning) there are sometimes long queues of people who come to get their coffee there. 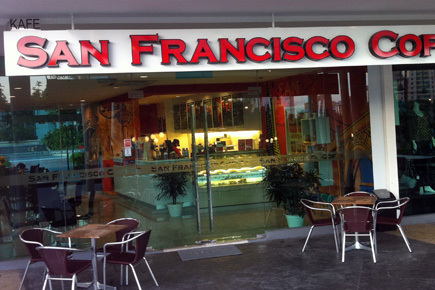 In total, there are more than 25 San Francisco Coffee establishments in Malaysia and Singapore. San Francisco Coffee also sells coffee beans or ground coffee in their shops; perfect for your own coffee machine. Loyal customers can ask for a savings card at the checkout. You show this card with every order and when your card is full with stamps, you will receive a free coffee of your choice. 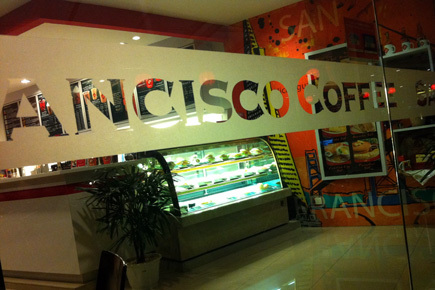 In the city center, you will find the coffee shop in Suria KLCC, amongst other places. 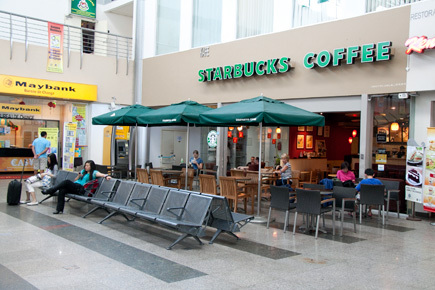 Starbucks is the most popular coffee shop in Malaysia. You will find one or multiple establishments in any mall. 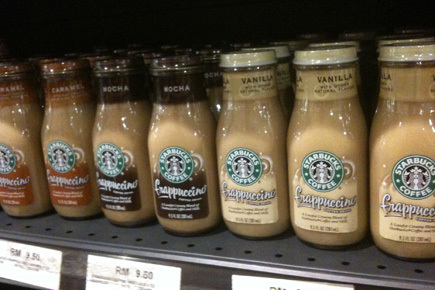 There are more than 115 Starbucks coffee shops in Malaysia. The first shop opened its doors in 1998 in KL Plaza (now Fahrenheit88). In Kuala Lumpur, you can find them on every corner; sometimes you look from one establishment right into the other. 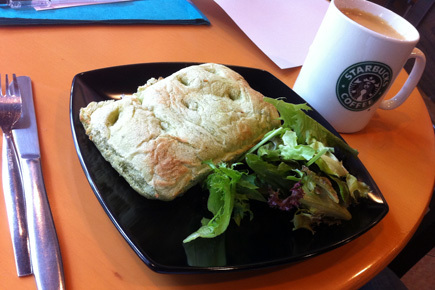 The atmosphere is always great at Starbucks; it’s a place where many employees come to relax during their work or break. The coffee is fine, but not super, compared to better alternatives (though I have to admit it also depends on who operates the machine and how busy it is in the store). Although they don’t have a breakfast and lunch menu card, you will find a wide range of snacks such as muffins, cupcakes and brownies. They also have bagels, wraps and the very tasty ‘Chicken Melt’. Starbucks also actively works for a better future and environment in a fun way. For example, you will receive a substantial discount when you bring your own mug or thermos. To promote this, they have a wide range of mugs and thermoses for sale in each establishment. Herbert B. Hyman launched the coffee shop: ‘The Coffee Bean & Tea Leaf’ in 1963. His commitment to excellence and quality made him the founder of the coffee in California. The Coffee Bean & Tea Leaf has since grown to be one of the largest coffee and tea companies in the world. 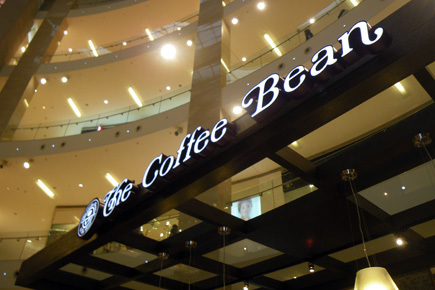 Years ago, the first Coffee Bean in Malaysia was opened. Since then, many establishments have been added, totaling more than 50 throughout Malaysia, where it is almost as successful as Starbucks. The company operates primarily in America and Asia. You can find the Coffee Bean and Starbucks together in a field of view in pretty much every mall. 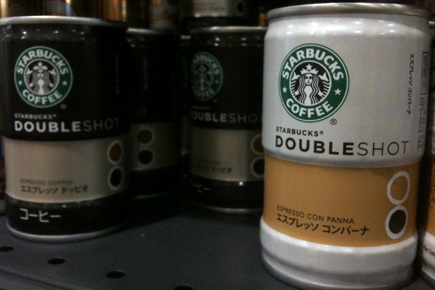 Starbucks has fine coffee, but a small selection of other products. 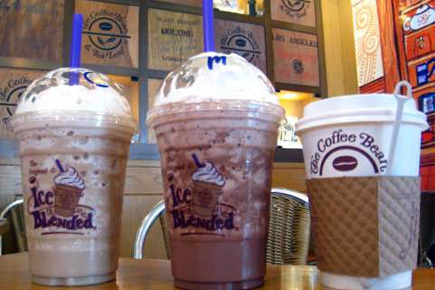 The Coffee Bean has a much wider variety. There’s nothing like a delicious breakfast consisting of a tasty ‘focaccia sandwich with chicken and dressing’ and a large ‘coffee of the day’. This breakfast is a perfect alternative to the sometimes mediocre breakfast of the hotel or guesthouse where you stay (aside from fantastic breakfast at luxurious 5 star hotels). They also have delicious ice blended shakes, where the ‘Malibu Dream’ is one of the tastiest, and various tasty snacks (such as brownies, muffins and fresh cakes). Dôme is a coffee shop with a very luxurious appearance. The prices are also a bit higher than those from Starbucks or Coffee Bean. 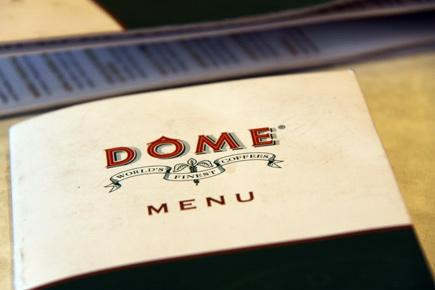 Dôme also has a very extensive lunch card which even contains a number of dishes for dinner. And they have an extensive range of deliciously unhealthy shakes; the Espreski. Although it should pass for an ice blended shake, it’s more like an extensive dessert. The dishes on the menu are all very western-inspired; each dish comes with some fries and mayo. In total, there are 14 Dôme coffee shops in Malaysia; including in Suria KLCC, Pavilion KL and The Gardens. There are a few other coffee places worth mentioning. There are a few branches of the Pacific Coffee Company, and they serve a good cup of coffee. Unfortunately, there are only a few shops and most are not located conveniently for tourists. Another place with good coffee is Gloria Jeans. Again, Gloria Jeans is usually located within office buildings in the bigger cities (mostly KL). Austin Chase also have a few branches, but up until now we never had a good cup of coffee there. Besides the well-known coffee chains, there are several baristas in Malaysia with real coffee experts at work. 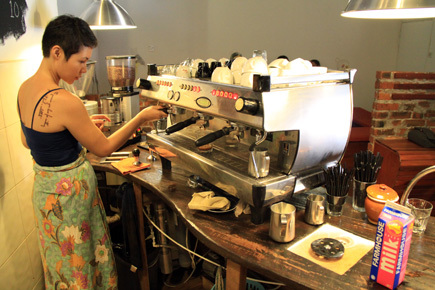 Most baristas can be found outside the city center, usually in trendy suburbs. A famous barista in the center is RAW along Jalan Ampang (Wisma Equity). Artisan Roast is famous outside of the city, within the TTDI area. Most coffee shops have a savings card. With every order (sometimes over a certain amount) you get a stamp on the card. When the card is full, you can order a free coffee or ice blended shake. Starbucks and San Francisco have such a savings card. The Coffee Bean has the ‘Coffee Bean Card’. The card costs RM25, the balance on the card is RM30 after activating it. For each ringgit you deposit afterward, 15% of the deposited amount will be added to the balance (minimum deposit: RM20). Additionally, you will get another 10 points for each ringgit you spend. These points can also be exchanged for products at the coffee shop. Almost every coffee shop in Malaysia offers free Internet. Of course, you will need to bring your own laptop or smart phone. You can easily log onto the wireless network of the coffee shop. Per establishment, you often need a different username and password. This information can be obtained from the shop counter. At some establishments you may need to register on a website, and then you’ll be able to log onto the wireless network using your own name and password. Do not be surprised if almost every visitor is sitting at a table with a laptop. 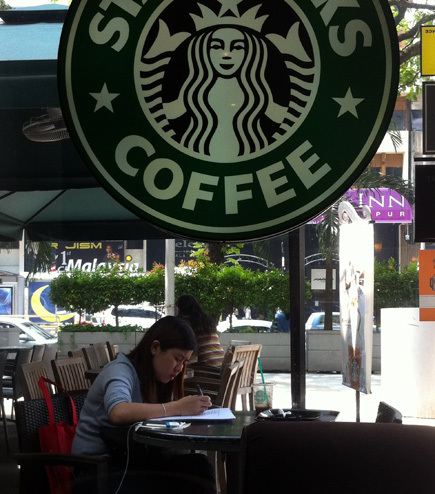 In Malaysia, many people work ‘outside’ of their home, while enjoying a large cup of coffee.